They want to make the characters expressive, more emotive, and more alive without using expensive 3D art, hence the bouncing and twirling. If it's fixed perspective, the 3D art might be cheaper. Possibly they can use pre-calculated normal mapped models (as of course they already do for the monsters) —but for the PC avatarss... like flat (or nearly flat) paper-doll models, of a few (dozen?) triangles each, and still animate them; and not have to have a large collection of 2D animation frames.... it could look like really great 2D art. I would far prefer more minimal, humanistic movements that make me think of the characters as people. The blinking eyes and moving mouths are wonderful. Maybe the artists could do little frames of a character turning their head slightly or a lock of hair rustling. Keep the characters facing the enemies, make them 15% bigger and for God's sake, bring some animation to them. That wiggling portraits is like the game is mocking the player via a kindergarten level puppet show. Too bad you ran out of money for 3D models and animation. I guess the fiasco that Numenera proved to be and the money devourer it was taught you a hard lesson. Indeed, I would also prefer proper old-school ones. Let's mention different expressions for statuses, such as drunk, poisoned, or asleep. What we have here turns them into puppets: the animators are sticking their hands up the butts of the PCs and waving their whole bodies around. Since no one moves like that, it's the opposite of emotive; if anything, it's dehumanizing. Perhaps they think that's funny, just as they thought BT2004 was funny. Eh, having bad portraits is a disgrace to Bard's Tale, as portraits were one of the most memorable things about it. Alas, InXile couldn't ever make good portraits, not even static ones, never mind animated ones. So, despite all the feedback, I don't expect anything good. The top of the bard's head seems to be about level with the enemy's chest. The models should be sitting higher up, but then they might obscure enemies in the front row. Yes, hopefully this is merely placeholder stuff... The aspects are being mixed and it all comes together to confuse the eye. The game itself is clearly 1st-person--not unlike the M&M6-8 series, among many, for instance. Yet the character portraits are facing away from the player with only their backs visible as though the the game is 3rd-person--but it isn't, of course. Adding to the eye confusion is the angle of the camera viewpoint on the character icons, as you've mentioned, which appears to be looking down at an angle--whereas the scene itself appears to be straight-on, eye-level first person. Better to use static character icons--or possibly even none, than to leave it this way. Last, having characters "turn around" and face the player is about as immersion-breaking as it gets, so surely that will go in the final version. The above just doesn't work well visually for people over the age of five, imo. Yes, hopefully this is merely placeholder stuff... The aspects are being mixed and it all comes together to confuse the eye. The game itself is clearly 1st-person--not unlike the M&M6-8 series, among many, for instance. 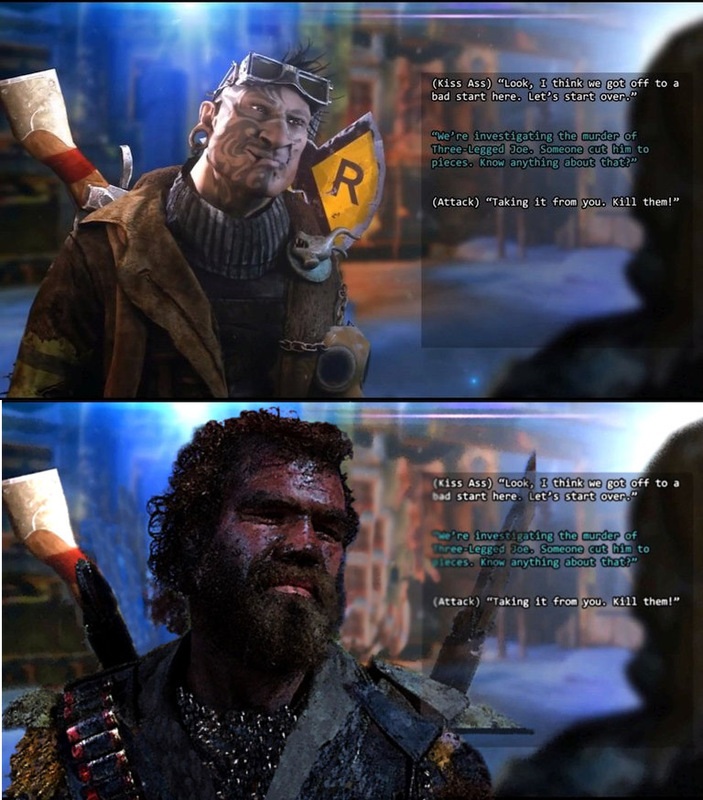 Yet the character portraits are facing away from the player with only their backs visible as though the the game is 3rd-person--but it isn't, of course. Adding to the eye confusion is the angle of the camera viewpoint on the character icons, as you've mentioned, which appears to be looking down at an angle--whereas the scene itself appears to be straight-on, eye-level first person. Almost as though it were VR game, where you could reach out and rearrange the pieces. ...But who knows what it was like on the drawing board? *Meaning the noted UI aspect might perhaps be vestigial. I notice in the exploration videos, that the eye-level of the player, seems a bit low—too low IMO; almost hip level. Agreed...doesn't make much sense to create a thoroughly believable game engine and environment and then to lay cartoon characters on top of it --even if there are a couple of hud options to remove them--you always know they are still there. The turning around to look at the player thing is astounding, really. Can you imagine a movie you are really into, where your suspension of disbelief is running high, and suddenly the characters look at you in the audience and maybe even *speak*, asking you what to do next?... It would destroy the entire movie, immersion shattered. 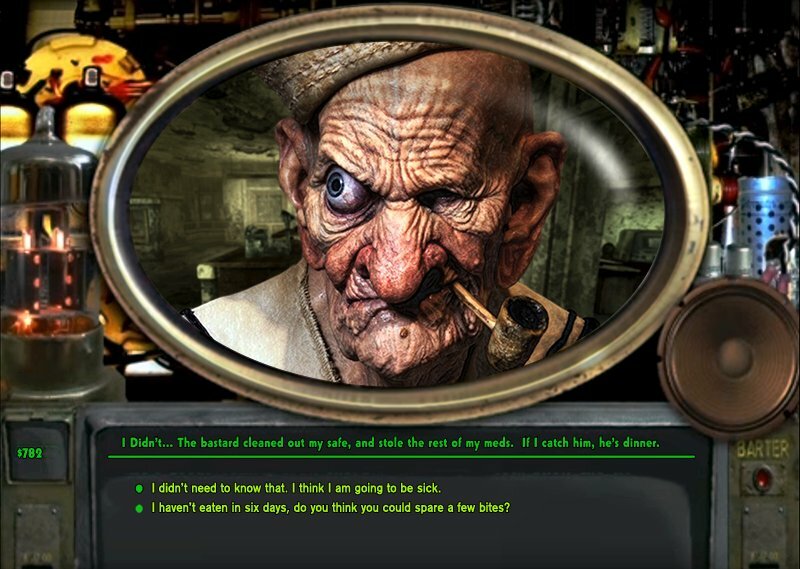 The camera is an unobtrusive witness whose presence should ideally never be noted by the viewer, and so it is with scenes in a computer game, too. But these are things that ought to be well known to the BTIV game designers. the PC's have to be able to move in combat. I consider that entirely pretty graphics. They don't need to, but some devs really want them to. That's why I fully support the option to turn off combat animations in a 'classic mode', or have them skippable. They take up time. The trilogy had the ability to speed up the scroll text if you didn't want to wait and read it all because it'd be quite repetitive. Provide something similar here. I completely agree with this. Bring on the classic mode! I also agree with this. Those old school portraits are a much better way to go than what I’m seeing so far. Eh, having bad portraits is a disgrace to Bard's Tale, as portraits were one of the most memorable things about it. ... but all they did was use their regular gameplay models. For Wasteland 2, 3, (and even BT4), I'd have liked to see something par with this (on the bottom); though not photographic... as this is.